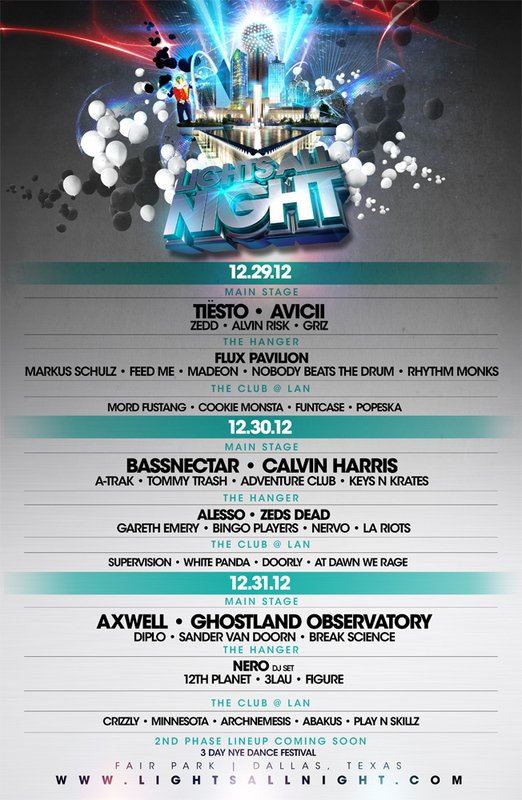 The 1st phase of the LIGHTS ALL NIGHT 2012 NEW YEARS EVE FEST IN DALLAS, TX was announced bright and early this morning!! After over 9 months of predictions, polls, and patience, the wait is over and we have been blessed with absolutely one of the most STACKED lineups of any EDM festival EVERRRRR! NERO & AXWELL FOR THE COUNTDOWN! !